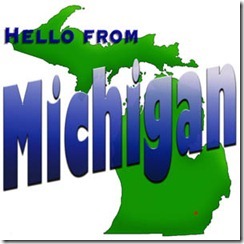 This past weekend I attended SharePoint Saturday Michigan (SPSMI) in Ann Arbor, Michigan. For those unfamiliar, SharePoint Saturday is a community driven event where various speakers gather to present at a FREE conference on all topics related to SharePoint. This made my third SharePoint Saturday attended and second I’ve spoken at. I believe today it was announced that about 210 people total attended the event. I was very happy with the turnout, especially the ratio of male to female attendees. Typically with computer related conferences the ratio leans towards more males attending, but both Peter Serzo (one of conference organizers) and I both commented to each other that at the end of the day it appeared to be close to 40% women in the crowd. So here’s my recap of the weekend. Friday afternoon I drove up from Columbus, OH to Ann Arbor, MI and arrived around 4pm. I was attempting to avoid the rush hour traffic and construction backups. Turned out to be a good idea because other speakers coming up Friday got stuck on a highway which literally closed down in both directions due to a bad accident. I was talking my friend Sean McDonough through the highway closing and this was the first time I had seen a solid black traffic line on Google Maps. Most of us are familiar with Green, Yellow, and Red, but this line was black if that tells you how bad it got. Fast forward a few hours and it was time for the speaker “dinner.” I put “dinner” in quotes because with this night alone SPSMI set a new bar for nicest and most extravagant speaker appreciation events for SharePoint Saturday. By tapping into some very influential contacts, the conference organizers were able to provide a truck limo (yep you heard right) with refreshments, access to an underground suite at the Palace of Auburn Hills, and courtside tickets to see the Detroit Pistons play that night. Being a Michigan native I have to say that I was absolutely floored by this experience and very thankful to our conference organizers Peter, Sebastian, and Jesse along with Trillium Teamologies. As you can imagine this was a slight cause for concern as I was potentially going to be unable to give my presentation. Luckily for me I usually prepare for such unforeseen issues and had my presentation and some spare VMs that would run on XP on my external hard drive. Knowing this I rebooted my machine into XP and began my presentation without slides until about 5 mins into the session when everything was up and running on XP. Despite this being the first time I gave this presentation I have to say it was one of my favorites I’ve given so far. The audience was very engaged in the session and I received some great, positive feedback afterwards. Thanks to all who attended my session, I appreciate it very much. For those of you who attended my session and would like my slides or demo PowerShell scripts they can be found on my SkyDrive at the link below. Also, if you have a few minutes and wouldn’t mind rating my session I have this session posted on SpeakerRate. As speakers we always appreciate any and all feedback attendees offer, so thank you if you are able to provide any. For everyone else, here are my pictures from the weekend. The first link is to my FaceBook album which will have tagging (recommend this one.) The second is to my Live album if you care for higher resolution images. A big thank you goes out to all of the organizers, speakers, sponsors, and attendees of SPSMI. As I’ve said so many times, without each and every one of you these events wouldn’t be possible. I thoroughly enjoyed this trip back to my home state and presenting a new session. For those interested in my upcoming schedule I will be giving two sessions on PowerShell at SharePoint Saturday Charlotte in April, helping plan Stir Trek: Iron Man Edition in May, and I’m submitting sessions to Day of .Net Ann Arbor in May as well. Beyond that I haven’t planned out any travels. Thanks for reading my recap. Look forward to more technical posts now that I have a short break in conferences. 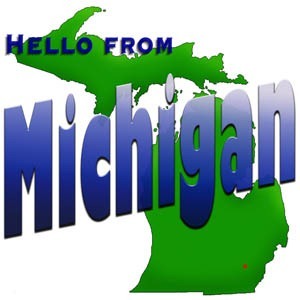 ← SharePoint Saturday Michigan Is Coming Up!